1885. Anne Stanbury – Committed to a lunatic asylum, having been deemed insane and therefore unfit to stand trial for the crime of which she is indicted. But is all as it seems? Edgar Stanbury – the grieving husband and father who is torn between helping his confined wife recover her sanity, and seeking revenge on the woman who ruined his life. Dr George Savage – the well respected psychiatrist, and chief medical officer of Bethlem Royal Hospital. Ultimately, he holds Anne’s future wholly in his hands. The Medea Complex tells the story of a misunderstood woman suffering from insanity in an era when mental illnesses’ were all too often misdiagnosed and mistreated. A deep and riveting psychological thriller set within an historical context, packed full of twists and turns, The Medea Complex explores the nature of the human psyche: what possesses us, drives us, and how love, passion, and hope for the future can drive us to insanity. 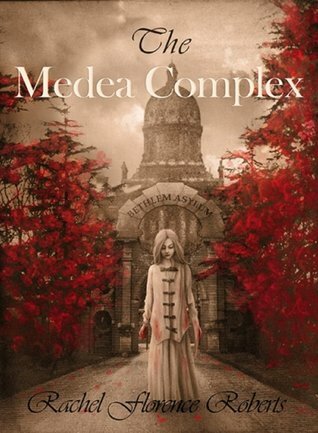 A copy of The Medea Complex was provided by the author in return for an honest and fair review. This entry was posted in Drama, Historical, Psychological, REVIEWS (ALL) - Reverse Chronological Order, Thriller and tagged Psychological, psychological thriller, Rachel Florence Roberts, Rachel Roberts, The Medea Complex, thriller.